Over the course of the past thirty years the impact of human industry on the environment has been a growing concern. Many companies recycle and embrace green practices on some level, but some companies rise above the others, these are the companies that take extra steps to purchase green power. Power consumption is unavoidable for any company, large or small, and this makes companies that lead the way in the use of sustainable green power visionaries when it comes to reducing their impact on the environment on the fundamental level. This article is part of our feature on The Top 100 Best Companies to Work For in the U.S. If it is important to you to work for companies that are environmentally conscious, then this list is a great place to start. 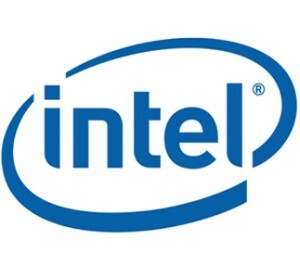 Already one of the best companies to work for, Intel puts a special emphasis on using sustainable technology; not just in developing CPUs that are more energy efficient, but also in using green power. 88% of the power used by the company is sustainable green power. Intel does what it can to significantly reduce the environmental impact of it development and manufacturing. 52% of the power used by Starbucks is sustainable green energy. They also have started an initiative that is committed to each of their new locations being LEED certified, and have started the huge project of retrofitting older stores to make them more green friendly. They also offer a discount to customers that bring a reusable travel mug to cut down on disposable cup waste. This healthcare company has been committed to developing environmentally friendly policies since the late 1980s and in 1999 established an initiative with the goal of reducing their overall carbon footprint by 7%. They embraced the practice of co-generation of energy using biomass boilers and solar and wind energy to offset their energy consumption. They are a large corporation with great benefits and coupled with their green initiatives they are a great place to work for the environmentally conscious employee. Kohl’s is an environmentally conscious retail chain that uses renewable and sustainable energy for 100% of its energy consumption. The store strives to involve its employees in resource stewardship initiatives with the end goal of long term resource sustainability. Kohl’s offers great benefits including health insurance, 401k, and tuition reimbursement along with other niche offerings giving employees many options that fit their needs. Whole Foods Markets, in addition to being one of the best companies overall to work for, also uses 106% green energy which means they actually put 6% of their energy consumption back into the grid, increasing the use of sustainable energy in the communities around them. This food chain, devoted to healthy organic alternatives attacks the environmental issues from every angle, right down to reusable bags. This defense contractor has many energy consumption reduction strategies including developing on-site renewable energy resources as well as instituting a green IT initiative to reduce to overall consumption of the company across the board. Offering great benefits and strong job opportunities for highly skilled employees, they are one of the best green companies to work for, as they are committed to finding long term energy solutions. One of the top universities in the country to work for, CMU uses 103% renewable energy resources meaning they actually feed green energy back into the grid. The university has twice won the Green Power Leadership Award (in 2001 and 2010) showing a historical consistency in their leadership of green initiatives. Another one of the top overall companies to work for, the benefits offered by this tech giant are very strong as is their commitment to the environment. The are absolute believers in the idea that the growth of the company and protection of the environment can and should be mutually beneficial. At 27% green power consumption currently, the company has also been working on reducing their overall emissions by 25%. This University, located in the heart of Philadelphia, uses solar and wind energy for 48% of its energy consumption, no small task when located in a large city where space is at a premium and green options are less accessible. They have financed the initiative to use this more expensive energy by pursuing an aggressive energy usage reduction initiative that has reduced their overall consumption by 18% in just a few years. Located up and down the east coast TD Bank is one of the largest banks in the nation but that hasn’t stopped them from pursuing the usage of renewable energy. At 106% their usage is one of the highest to be seen putting that extra 6% back in the grid. The bank isn’t stopping there though, they are also doing major retrofittings of their stores to further cut down on their consumption. This list was prepared in cooperation with Lynn Granger, a journalist and contributor on green building and green business topics for Green-Building-Training.com.